The Triathlon is a gruelling test of three sports combined into one single race. 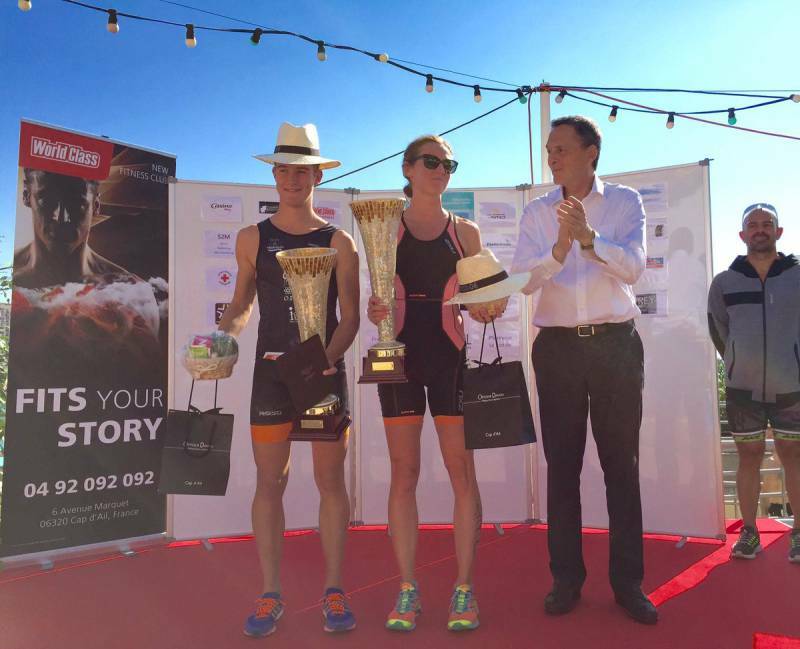 At Cap d’Ail, Monaco women were recently presented with this ultimate challenge with a 750 metre swim followed by a 20 kilometre cycle race. And to finish 5 kilometres running. And AS Monaco managed to come out on top with Rachel Clausing mounting the podium and taking the laurels. All the more impressive in that this was Rachel’s third win in a row, this time completing the Triathlon in one hour, seven minutes and three seconds. Ironwoman from AS Monaco, Rachel received her cup to thunderous applause. Did you know that it takes between one hundred and two hundred volunteers to make a sports meeting like this run well? There are women’s events, men’s events, seniors and kids. There is a full program. 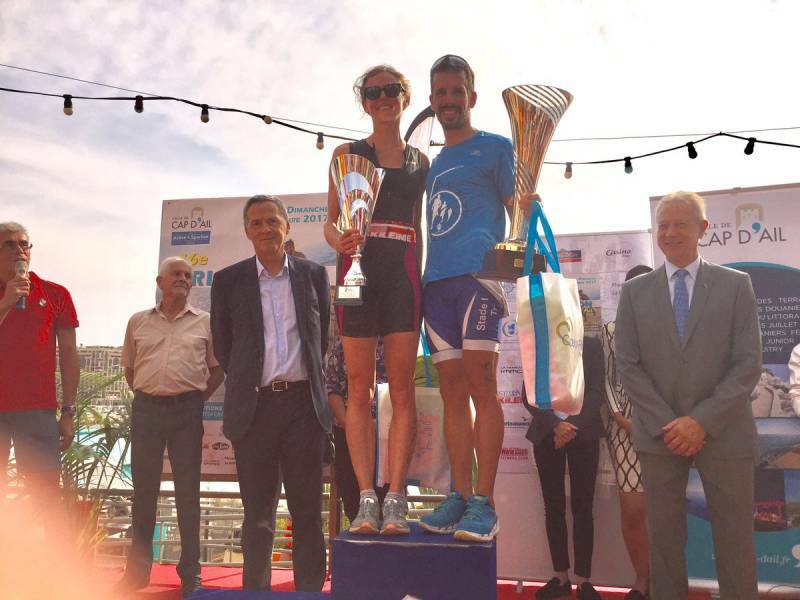 On the men’s side Antibes Triathlon’s Lucas Godin soared to victory by a full margin of three minutes improvement over the previous year’s winning time. One can hardly expect better, and it is worth noting that he was within 44 seconds of completing the race in less than one hour. His winning time was just one hour and 43 seconds. Deserved applause as he mounted the podium. AS Monaco was not content with solely notching up a win by Rachel Clausing, impressive though it was. The men felt they should strut their stuff too. And they managed to do it via a superb performance by AS Monaco’s Christophe Lacovou winning fourth place in the general ranking. Two hundred and fifty competitors did Cap d’Ail proud. And it didn’t stop there because the children wanted to have a go too – all fifty of them. To entertain and motivate them, Cap d’Ail organized a kids “Animathlon” specially – a 70 metre swim followed by a 400 metres running race. And who better to cheer them on but the adult triathletes who had just completed their own ordeal. Relaxing watching and applauding the kids was a fun way of ending a very successful sports meeting at which AS Monaco excelled.